The Cambro 8FBNH434151 flatware basket has eight compartments to hold forks, knives, spoons, spreaders, and other utensils. 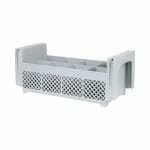 The rack comes in a soft gray and fits in a full- or half-size base rack. Its inside rack height is 43⁄4 inches tall and the outside rack height is 71⁄4 inches tall. Inside rack height: 43⁄4 in. Outside rack height: 71⁄4 in. Want more information on dishwasher accessories? Check out the dishmachines and accessories buyers' guide. 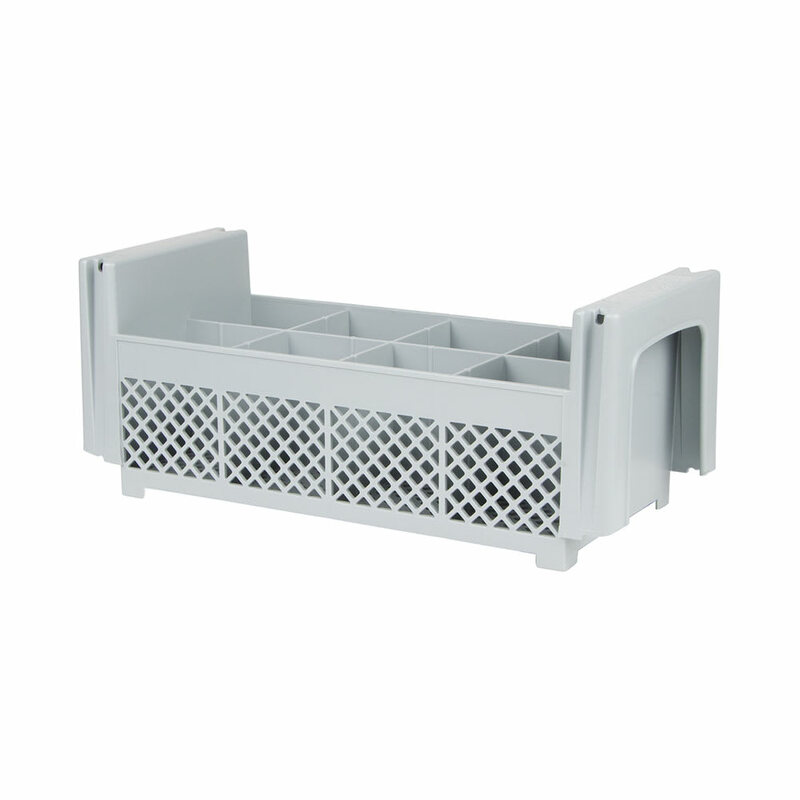 "This Cambro utensil holder works great in our commercial dishwasher. The items stay in place during the wash cycle and get clean. It feels like..."
"It holds a lot of silverware in the dishwasher just like you'd want!" "This Cambro utensil holder works great in our commercial dishwasher. The items stay in place during the wash cycle and get clean. It feels like it's made of good quality plastic material." It does it's job, please pay me for doing your advertising.